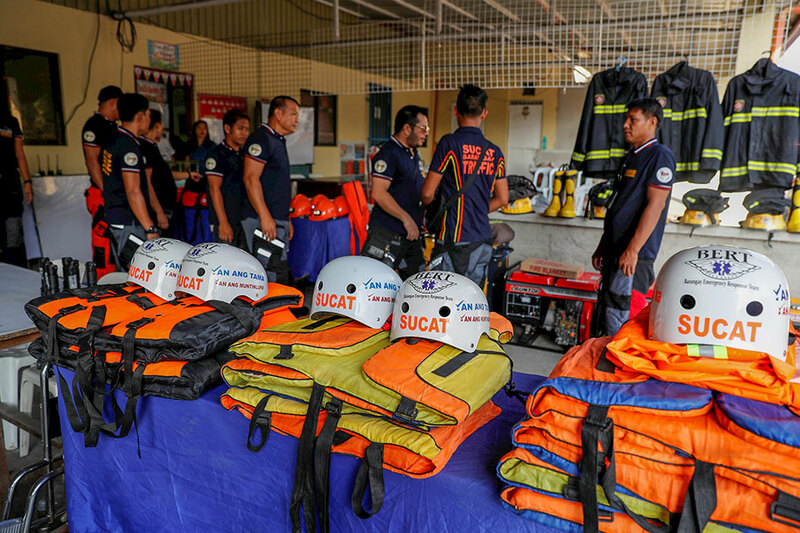 MANILA—House Speaker Gloria Macapagal-Arroyo on Friday pushed for the creation of a Department on Disaster Management, citing the need for a full-time cabinet official to deal with the logistical requirements preparing for calamities. Speaking to media at the sidelines of the distribution of relief goods to typhoon victims in Marilao, Bulacan, Arroyo noted that while she is satisfied with the work of the National Disaster Risk Reduction and Management Council (NDRRMC), the agency has limitations. Arroyo pointed out that the NDRRMC is headed by the defense secretary who also has other tasks. “ ’Cause look at who is the head of the coordinating council? Secretary (Delfin) Lorenzana. Well, he is busy fighting insurgency, he’s busy fighting terrorism, so how can he be there full time? So now what happened is, because the typhoon is gonna hit the north, 4 secretaries are there," she said. Arroyo said a full-time cabinet secretary focusing on disaster resiliency will not have the limitations of the NDRRMC. “If there was a full-time secretary then you don't need 4 secretaries to be there so they're doing as best they can. I'm satisfied with what they're (NDRRMC) doing within the limitations of a coordinating council but this really proves we should have a disaster department," she said. The House of Representatives is in the middle of deliberations on the bill creating a Department on Disaster Resiliency. The bill is pending in the period of interpellation and debate at the plenary.